The new CEO of Brazil's state-run oil company Petrobras, Aldemir Bendine claims the $2.5 billion the company lost through corruption was “recoverable”. 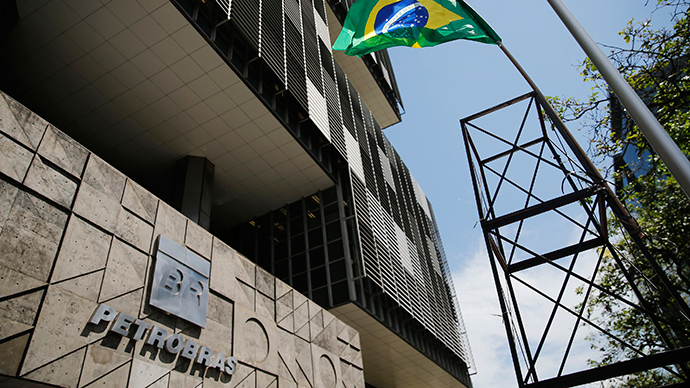 Petrobras is currently engulfed in the largest financial scandal in Brazil's history. Petrobras on Wednesday unveiled an overall loss of $7.2 billion for 2014, after a $2.5 billion loss directly related to continuing corruption investigations into the company and $16.8billion impairment charges connected to delays at its refinery projects and falls in the global oil price. “Petrobras billions in the red is the biggest admission ever of corruption and bad management for a Brazilian company. [This is] a historic date,” a columnist for newspaper O Estado de S. Paulo, Jose Roberto de Toledo wrote in his Twitter, the Financial times reports. The financial results represented a conservative estimate of the company’s losses, according to the Petrobras chief executive, who also added that the corruption figure could grow if the investigations revealed further schemes. The company would not “sell the so-called pre-salt oilfields in the deep waters of the South Atlantic but might sue some of its former contractors for damages.” This would help offset some of the potential losses it is facing from investor lawsuits in the US, Bendine said. Wednesday was the first time in eight months Petrobras reported earnings, after its auditor PricewaterhouseCoopers (PWC) refused to sign off on the numbers due to the corruption scandal. Petrobras has been embroiled in a corruption scandal with Brazilian prosecutors accusing it of participating in a decade-long bribery and kickback scheme. In February, the president of Brazilian state oil company Petrobras Maria das Graca Foster resigned along with five of the company’s top executives. The investigation which started in 2014 revealed that top managers got a three percent kickback on transactions worth $3.7 billion and perhaps more than $28 billion from Petrobras coffers. Authorities also claimed that some of the nation’s largest construction companies bribed politicians and government officials to secure $23 billion in contracts with the oil company. Meanwhile, hundreds of thousands of Brazilians protested in March against President Dilma Rousseff, who chaired the board of Petrobras for much of the period when the alleged bribes happened. Rousseff denies any involvement.